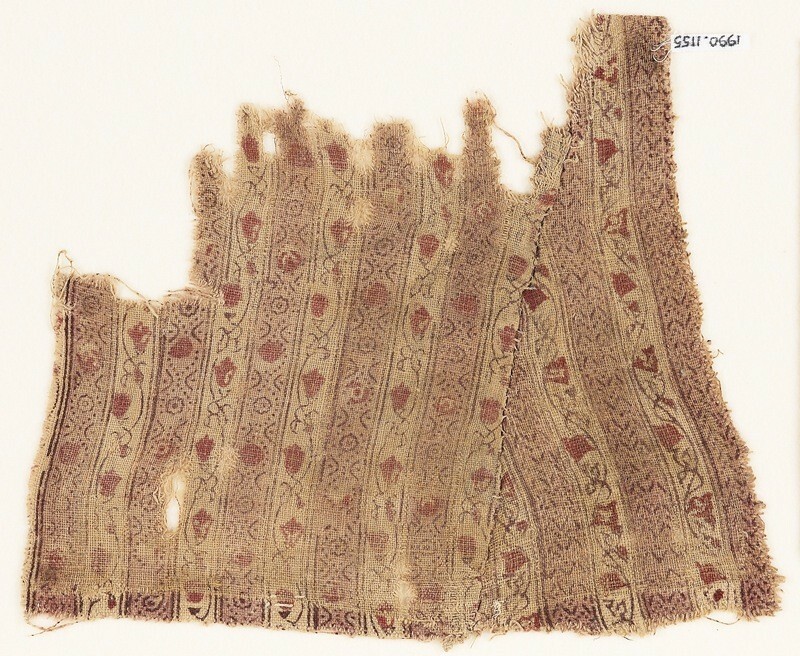 Two fragments sewn together, of similar, but not identical patterns. Both have alternating white and pink stripes. The white stripes each have a fine, brown continuous vine and red flowers, while the pink stripes have small chevrons in one fragment, and small, linked ovals in the other. The reverse shows less dye saturation than the surface. 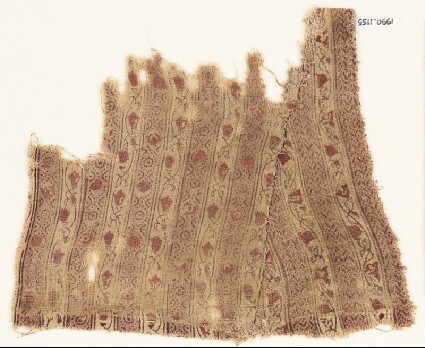 The fabric is made up from two separate textiles.